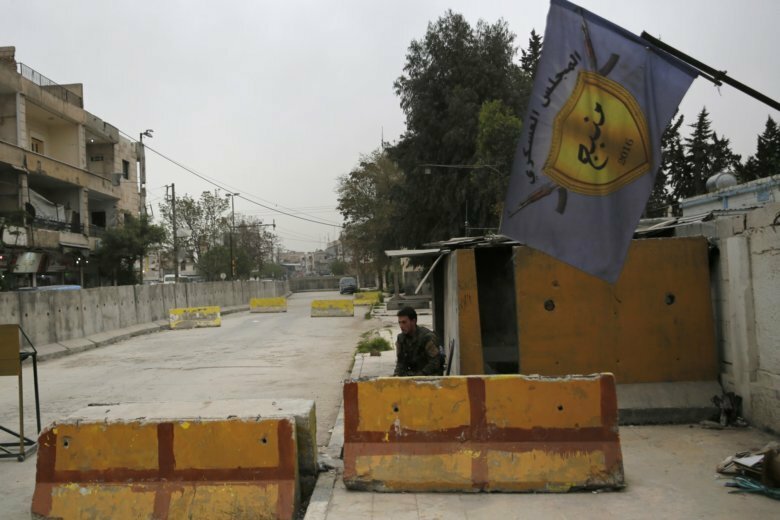 BEIRUT (AP) — The Islamic State group claimed responsibility for an attack on a checkpoint of U.S.-backed forces in the northern Syrian town on Manbij that killed seven fighters on Tuesday. The attack indicates that IS can still launch deadly insurgent strikes and is far from being completely defeated, despite losing all the territory it once controlled in Iraq and Syria. Islamic State militants were blamed for several attacks in the Manbij area in recent months. Sharfan Darwish of the Manbij Military Council told The Associated Press that the attack came shortly after midnight at one of the entrances to Manbij, targeting the fighters who “were carrying out their mission of protecting” the town. The Britain-based Syrian Observatory for Human Rights, a war monitoring group, said members of an IS sleeper cell carried out the attack, and that three other Manbij Military Council fighters were also wounded. In its claim of responsibility, IS said its followers targeted a checkpoint on the western edge of Manbij and confiscated the weapons of the U.S.-backed fighters. In January, IS claimed a suicide attack in Manbij that killed 19 people, including two U.S. service members and two American civilians. The fate of Manbij, controlled by members of the Manbij Military Council whom Turkey considers linked to its own Kurdish insurgency, has been a source of tension between Ankara and Washington. Turkey insists on the withdrawal of the Syrian Kurdish-led militia, which liberated Manbij from the Islamic State group in 2016.